We have 雨水=usui, the 2nd of spring 二十四節気 today. It really does — raindrops started to fall before noon, much earlier than forecasted. 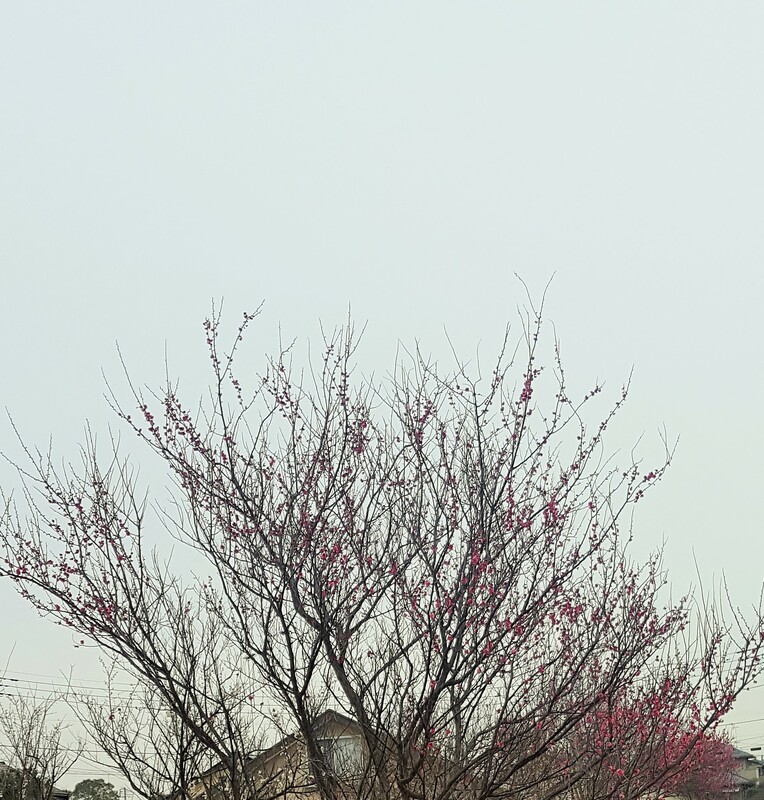 Well, as 大寒 was with spring in the air compared to snowy 小寒 last month, blossom season might follow sooner this year. By the way, Mei-Shun wonders what would come for tonight when supermoon is expected to be seen. Just cloudy in the morning.